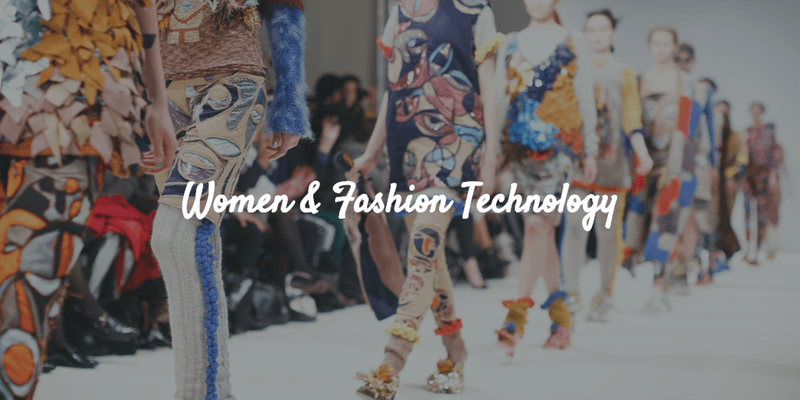 To kick off London Tech Week, Women of Wearables are organising another monthly meetup on Monday June 12 where we will be discussing all things fashion tech! Our speakers include our WoW women Kristina Dimitrova CEO of Interlaced, Dr Camille Baker co-founder of E-Stitches, Ishwari Thopte Fashion Tech Project Officer at Centre for Fashion Enterprise, Nancy Boehm and Lou-Ann Boehm, fashion tech designers behind the brand Twins Paris and Sian Skelton, a partner in Taylor Wessing’s Technology group. Join us for an evening of inspiring talks about fashion tech projects from London and Paris and networking afterwards! Big Thank you! goes to our sponsors Taylor Wessing for providing us with the venue and refreshments for the evening! Speakers include our WoW women Kristina Dimitrova CEO of Interlaced, Dr Camille Baker co-founder of E-Stitches, Ishwari Thopte Fashion Tech Project Officer at Centre for Fashion Enterprise, Nancy Boehm and Lou-Anne Boehm, fashion tech designers behind the brand Twins Paris and Sian Skelton, a partner in Taylor Wessing’s Technology group. Join us for an evening of inspiring talks about fashion tech projects from London and Paris, and networking afterwards! Big Thank you! goes to our sponsors Taylor Wessing for providing us with the venue and refreshments for the evening! Tickets are limited, so book yours here! p.s. Join our meetup group here and stay up to date with our future meetups and events! Support our #WoWwoman Oana Korda and her crowdfunding campaign! Our WoW woman Oana Korda, co-founder and Product Manger of Woogie has launched her Indiegogo crowdfunding campaign. Woogie is a voice-activated AI personal assistant for children ages 6+ that turns curiosity into personalized active learning. Woogie does more than answer questions, he engages children in conversations, interactive games and studying in clever ways, fitting their passions, interests, and hobbies. We had a great time at our recent May meetup at ThoughtWorks’ offices in London, where we hosted three amazing wearable tech companies talking about their projects for pets and animals! Michelle Hua rounded up the event in her blog here! Our Berlin ambassador Nayara Moia attended IDTechEx Wearable Europe Berlin 2017 Conference (May 10-11), read her blog post here!